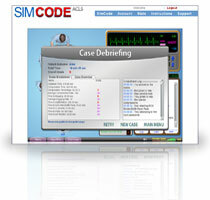 The SimCode ACLS™ simulator uses innovative technology to model the complexities of real code situations. Actions happen in real time and unscripted cases mean you'll have to think on your feet. Test your skills on unlimited unique cases! 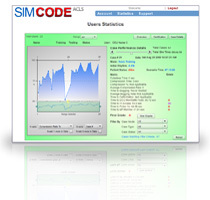 Hone your skills and maintain your SimCode ACLS™ certification from any computer with internet access! 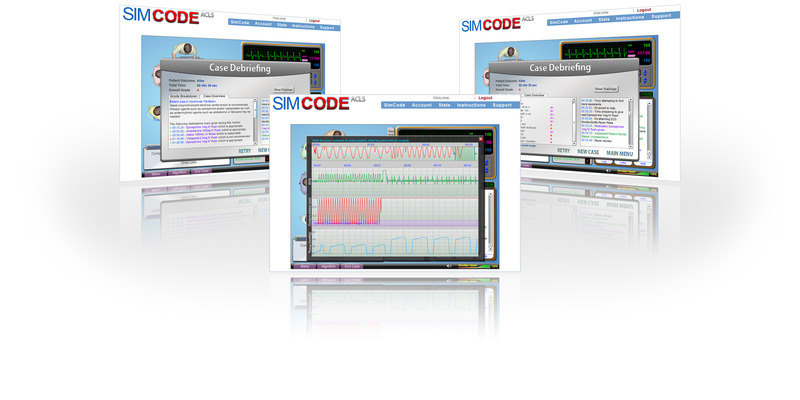 SimCode ACLS™ is online, available anytime and anywhere, even from the comfort of your own home. Effective resuscitation requires a coordinated team effort. Explore and optimize your team management skills by delegating actions in parallel in this revolutionary simulator. Feedback is crucial to learning. You will receive detailed reports after each simulated case and be able to review cumulative statistics in your online account. Use the sleek data visualization tools to easily view your progress and understand what you need to work on. No need to take time off work and spend hundreds of dollars to attend hours of lecture to maintain your ACLS certification. 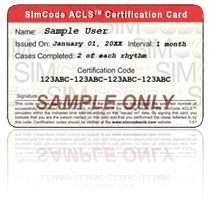 With SimCode ACLS™, you have unlimited access to practice and certify in ACLS simulation at your leisure. Print your certification card whenever you need it and have the code verified here. 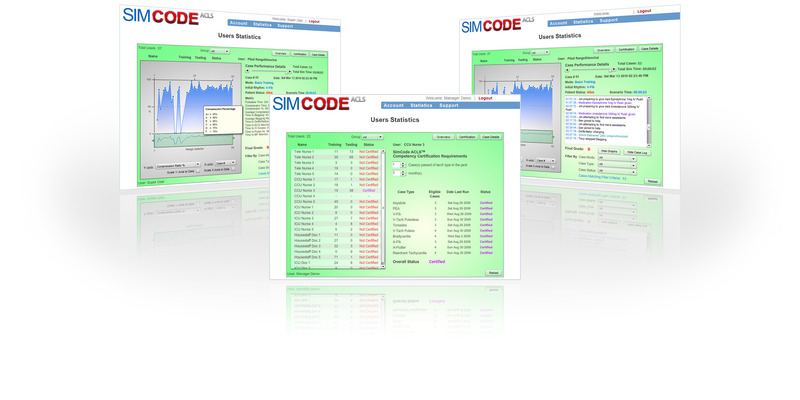 The SimCode ACLS™ Manager Suite makes keeping track of your staff's SimCode ACLS™ competency status a breeze. No tedious record-keeping and no need to keep cumbersome paper files. Simply log-on and view all your users' performance at a glance.